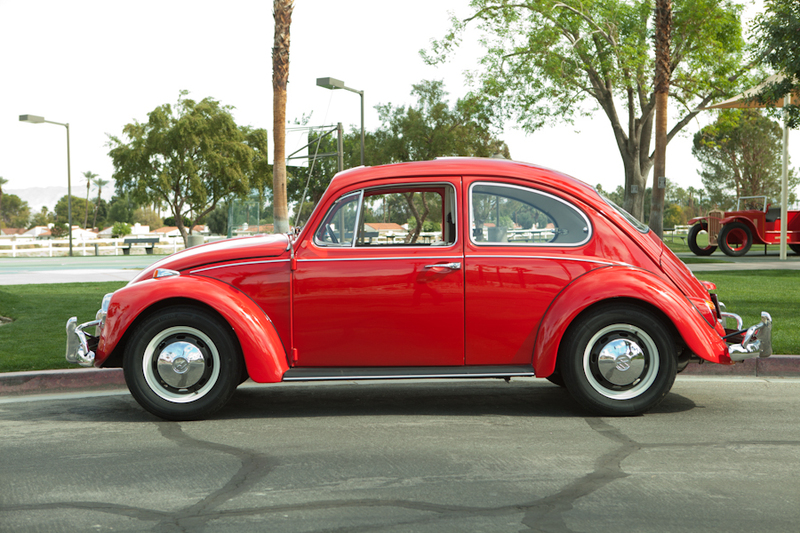 This is an outstanding example of the Classic 1967 VW Beetle; a rare Factory Sunroof in excellent working condition. This is the model and year to collect-finally 12 volt, w/many improvements. Original Stock appearance & stance, but with a 2110cc Dual Weber 44 IDA motor, custom exhaust, 4 speed with higher 4th gear for freeway driving. 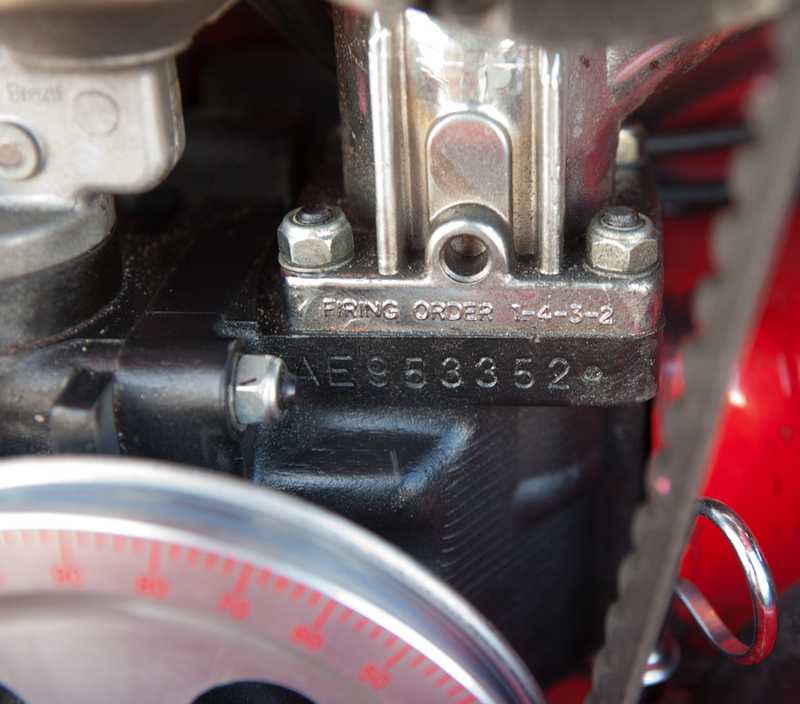 Only 8,000 miles on this motor-enough to completely dial it in and have it set up-a truly turn-key classic with all the desirable ’67 Factory upgrades-but usable performance. Targa California Rally 2011-covering 1000 miles in 3 days at a fast clip. 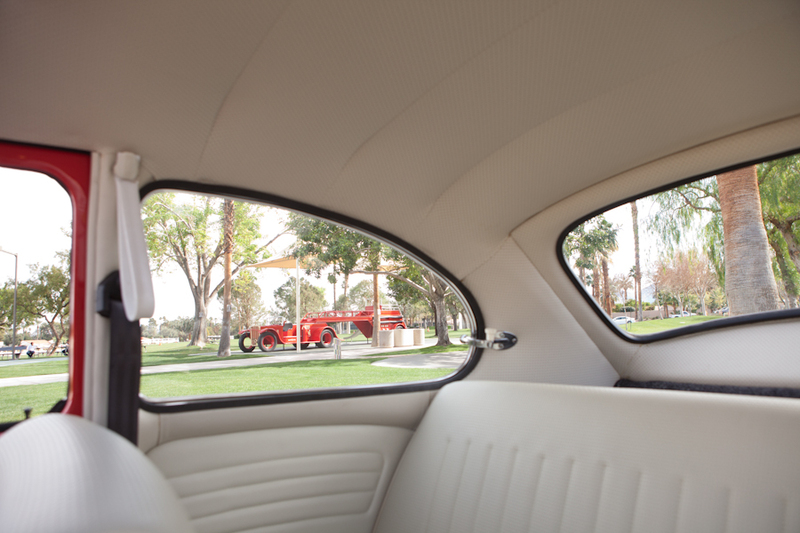 4-year old restoration with all new rubber, seals & Porsche 356-quality paint. It is amazing how much attention this car gets! People just don’t usually restore-and then drive vintage VW’s done to this level. Always Southern California Car with an original 62,649 miles-DMV certified mileage of 59,050 on 8/31/2007-Speedometer replaced. 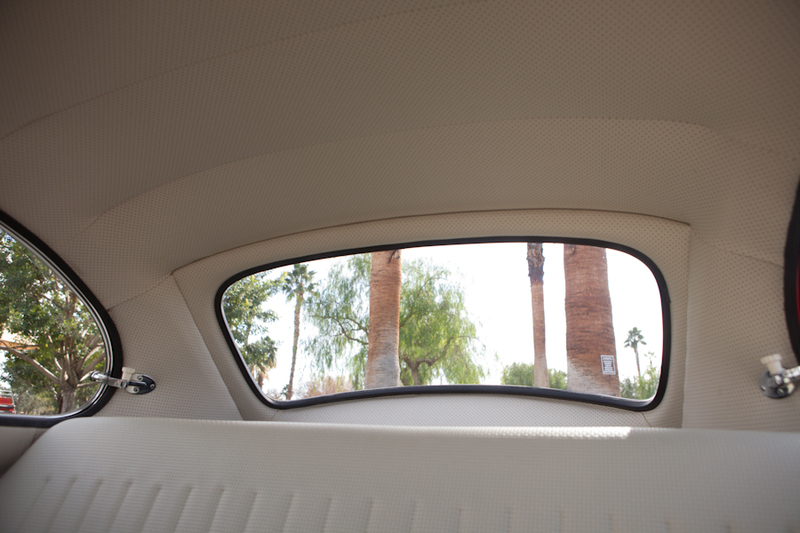 West Coast Classic Restoration did complete new interior ($4,000) with hand sewn door and rear panels, new seat foam, white headliner-pleats correct for the ’67 Sedan. The brakes and suspension have been replaced-all new hoses, wheel cylinders, master cylinder, rear wheel seals, new shoes, tie rod ends, fresh 4-wheel alignment from old-school Bear Brake in Glendora, CA. Larger front sway-bar added and new shocks all around-ride height and “stance” the way it should be. 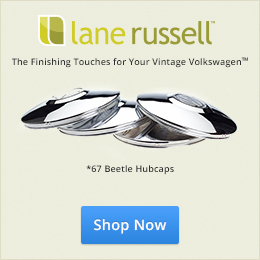 Correct 15″ VW steel wheels with brand new Vredestein Classic Sprint tires. Becker Europa AM/FM radio-works perfectly. This car was on display at Power Porsche in Newport Beach, CA for 2 years and not for sale. It was displayed inside on the marble floors next to new Porsche’s, Audi’s, etc. The restoration and paint is that nice. During the purchase of another car-I asked them if they would do a 2-car deal and they said sorry, it was not for sale. After appealing to the GM, and due to the fact they were beginning a major renovation at the dealership and needed space, they reluctantly let the car go-as a 2-car deal. This car was lovingly restored by a serious Porsche enthusiast who put over $35,000 into the car during the restoration. His daily driver was a Porsche GT3 and by the way this car rides and drives you can see his vision in the restoration. The paint quality, now 4 years old, is way above most restored VW standards. It’s a Porsche 356 quality paint-job that has obviously had perfect blocking and wet sanding to make the luster this deep. 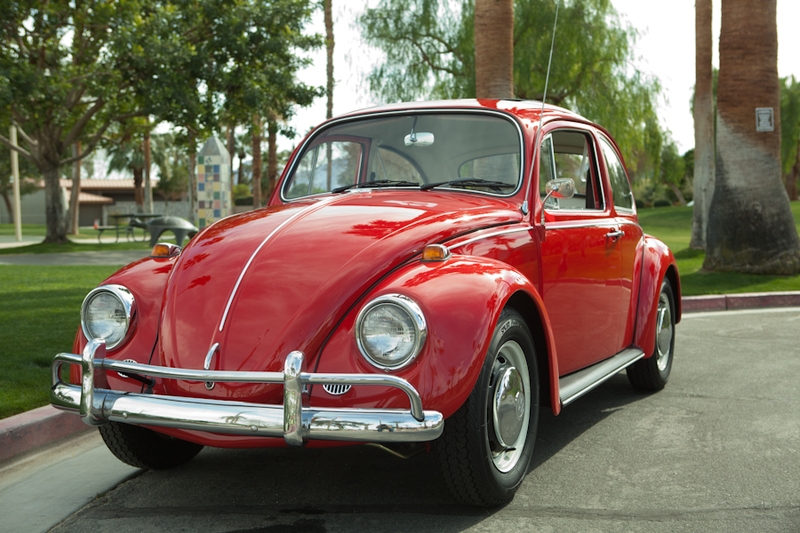 In my opinion with classic milestone vintage cars, like the ’67 VW, keeping them as original as possible is where the value holds and increases over time. What attracted me to this car, after the paint quality was that it has been restored to appear completely stock-but with serious performance. The car has been driven by me, not put up on a pedestal so if you search the car carefully you’ll find a small rock-chip here and there-as would be expected of a car that’s driven. No scratches, dents or door dings however. 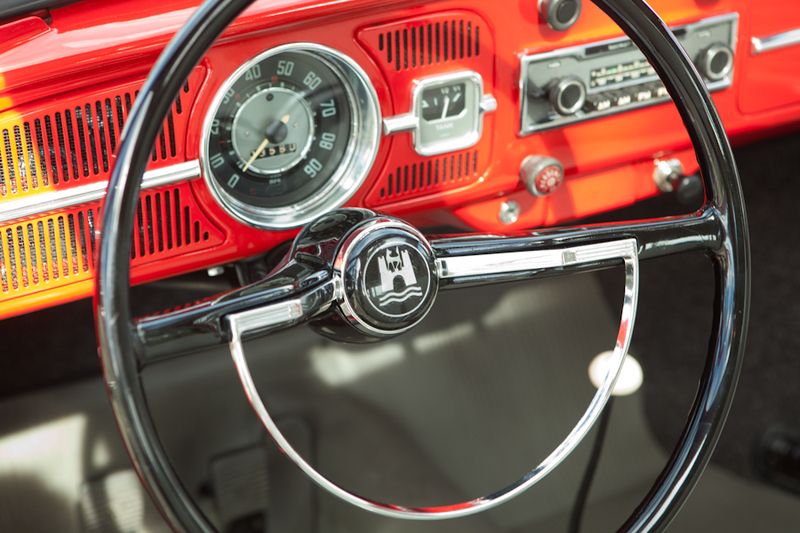 All of the 1967-specific-items such as door handles, headlamp and turn signal fittings, interior, etc are in place. The 2110cc motor with dual Weber carbs cruises beautifully at 75-80mph. But what’s amazing is how much power it has from there on! Need to pass a car? Just step on it at 75 and take off. This car is so quick it’s really surprising. 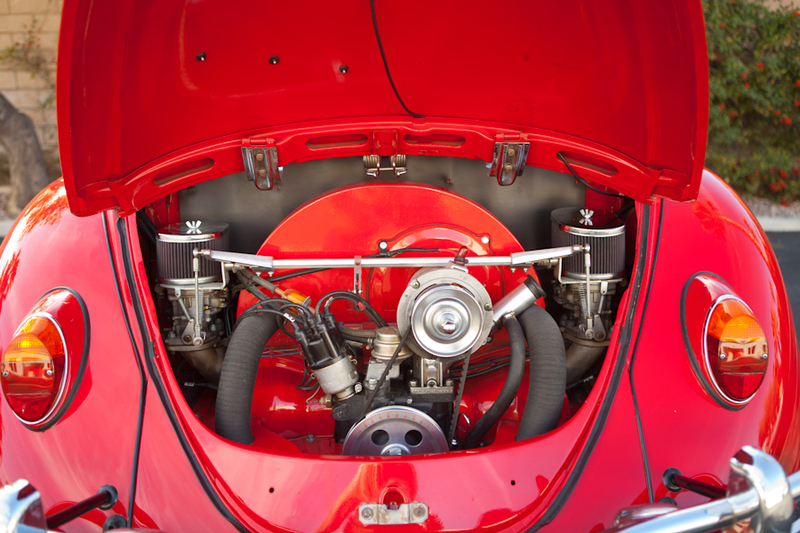 I’ve never had it on a dyno – but I’ve owned several built-up Porsche 356’s and it would leave them in the dust. When I bought the car, it had a tan interior and headliner. It doesn’t sound bad, but really was not right for the car. It had the correct German square-weave carpet, etc but the seats were too soft and the door panels were cheap TMI items and not up to the quality of the rest of the car. So the best vintage VW interior place around, Lenny’s West Coast Classic in Fullerton did an incredible job. 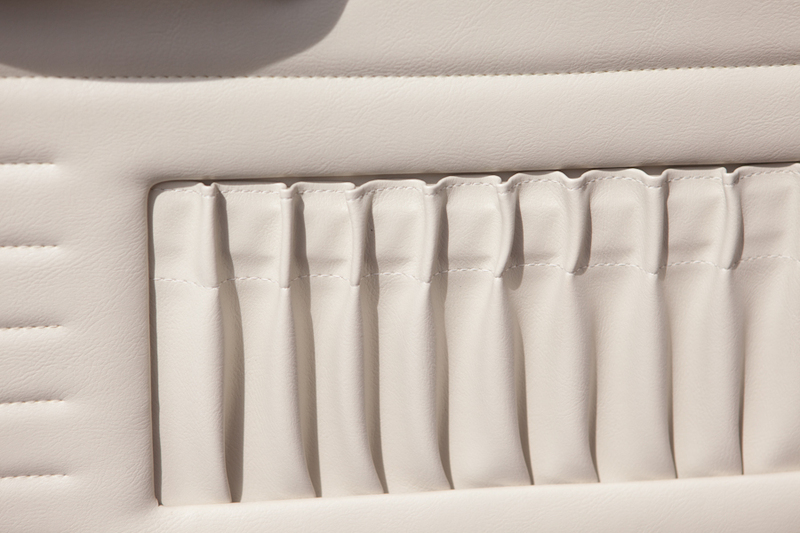 They hand-sew their own door and interior panels and materials and craftsmanship are top of the mark. They put in a complete and correct off-white interior including headliner and new seat foam. It transformed the car’s interior to light and bright and would be correct for the red paint. We sadly need to let this car go in order to complete another long-term restoration. And I do mean sadly! The car is being sold as-is, no warranty implied or expressed, but there are no issues needing attention. Valves have been adjusted less than 200 miles ago. Tune-up, service, oil/filter change all recent. The car is available for inspection and I urge anyone out of state to fly in and drive this car home, but do see it in person. There’s not much I can say that the car doesn’t say for itself in appearance and the way it drives. I’m happy to have a professional inspection done at the shop/dealership of your choice at your expense. Who’s going to take this one home? Wow, I need an ice cold shower. Is it just me or is anyone else bothered by that Black license plate? I agree. Very nice! You know, I wish I was more educated when it came to OG black plates. Anyone else know the history? 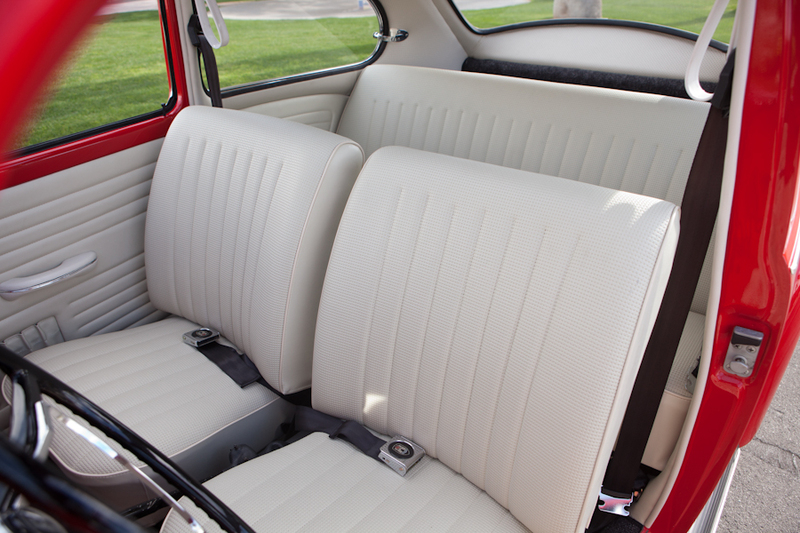 is it me or is anyone bothered that the interior is white and not black—to my knowledge VW didn’t make white interior Ruby Beetles in ’67—they were made in ’66 – looks great but….don’t believe that interior is stock. I believe you’re correct. However, to each his own. It looks good in the car. Some are more purist than others. This is a very nice Ruby Red 67. There are a lot of things I probably would have done different but as Eric said, to each his own. It looks as though the dash has been cut to accommodate what looks like a different radio. But very nice for the person who isn’t a purist! I don’t believe the dash is cut, as it’s just a larger radio. 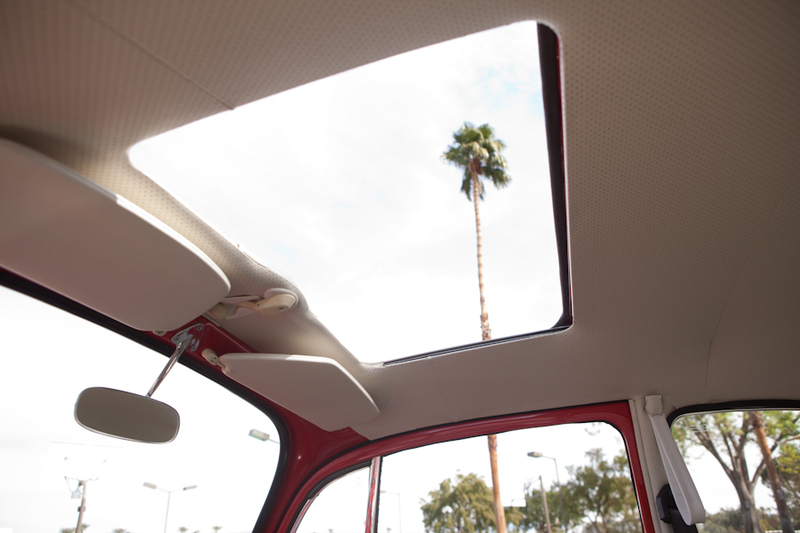 And, it’s a sunroof! I have forgotten how nice red is on these cars when it it new and shiny. And no other option turns my motor more than a sunroof. But the white on this car interior contrasts too much, I would have stayed with as close to the stock color as possible. I’m a little lost … has this bug been for sale for three years; is it a repost? Nice looking example of a personalized ’67! No worries. The car was mentioned as a featured article years ago. Now, it’s for sale. I left the old comments up. I have one like this (well it’s an L456 with factory sunroof). This is BEAUTIFUL. Absolutely immaculate.